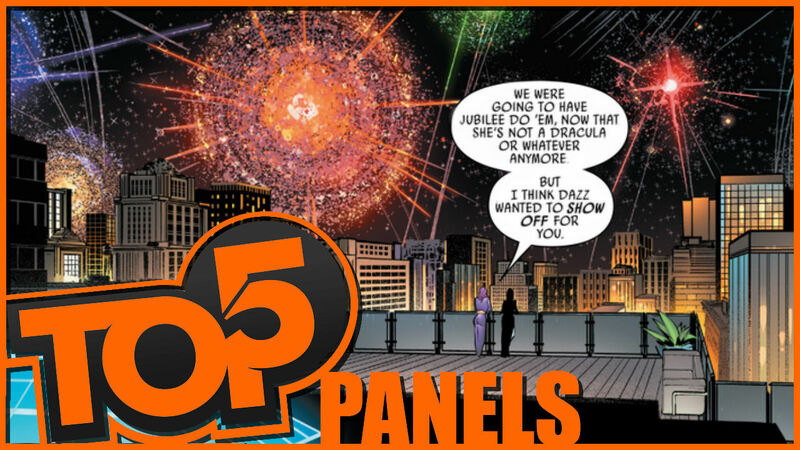 Fan Panel Pick From Last Week - Black Lightning: Cold Dead Hands #6 - Awe Inspiring! See, we don't need Jubilee! Sad to see that this series is ending, but couldn't think of a better ending than these iconic Archie properties battling it out. 3. 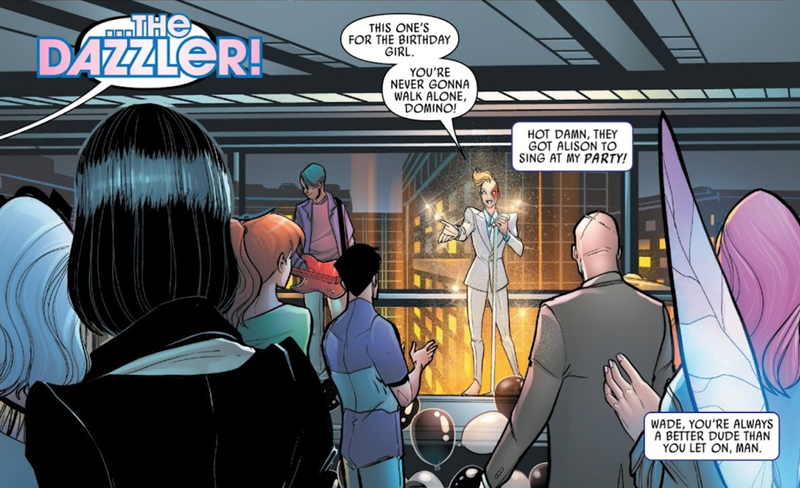 Domino #1 - DAZZLER! Thank you Gail Simone for adding Dazzler into this book. Let the Dazzler revolution continue!! The 60's and 50's were an extremely interesting time in America, especially when dissecting family structure. In the 50's everyone pretended to be perfect because of what television and propaganda was telling them to do. Women had to be like the mother from Leave it To Beaver. This was a ploy post World War 2 to get women out of the work force, and into the homes. So men would have jobs when they came back home from war. So this image is really striking to me, to show the realism of the time that everyone was trying to hide. 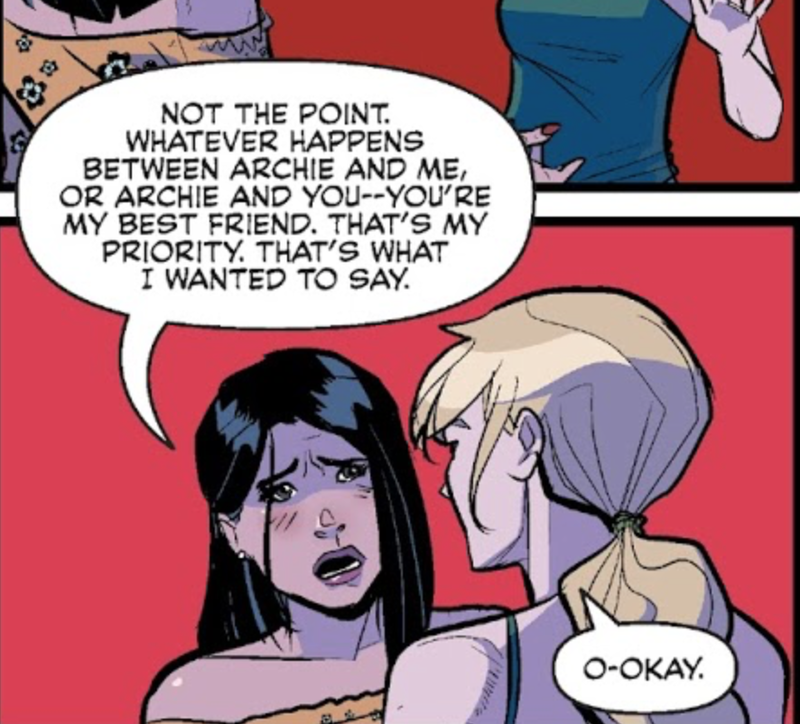 Current Archie comics has been doing a great job at showcasing Betty and Veronica's friendship. They aren't frenemies. They are actually friends. 5. Domino #1 - We Wanted Jubilee. Cassandra Nova is back, and even though I'm not a fan of Morrison's New X-Men, I have to say seeing what she did to this kid here still gave me chills. 3. Hal Jordan And The Green Lantern Corps #41 - You.... What?! 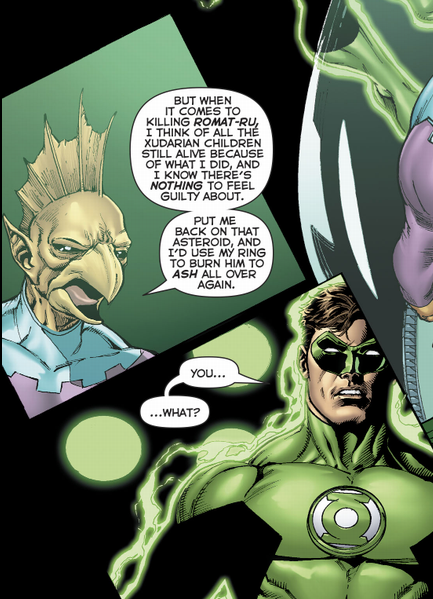 Tomar-Tu shows his true colors here much to Hal's chagrin! 2. X-Men Red #3 - Are Those Your Intestines? 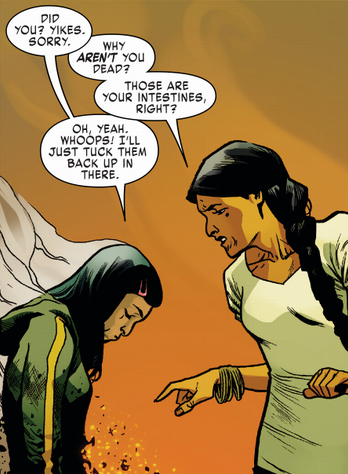 Gabby continues to be one of my favorite characters in the Marvel U, and her being completely unphased by her intestines hanging out is one of the reasons why. 1. Avengers #688 - Quicksilver's Sacrifice. This was Quicksilver's Crisis on Infinite Earths moment. 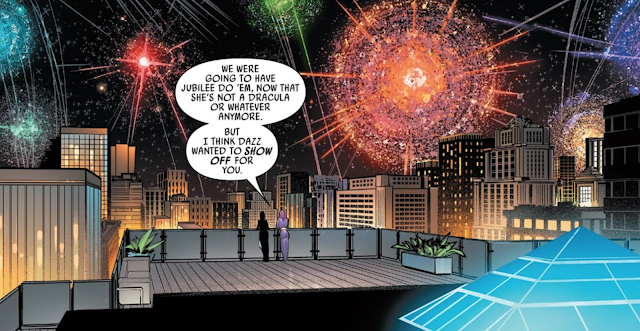 Sure, it's been done before, and better, but considering the journey of Quicksilver and how things have finally fallen into place for him, there's a tragic and poetic beauty to this scene for me. 5. Sea Of Thieves #2 - You Sound Disappointed. 4. 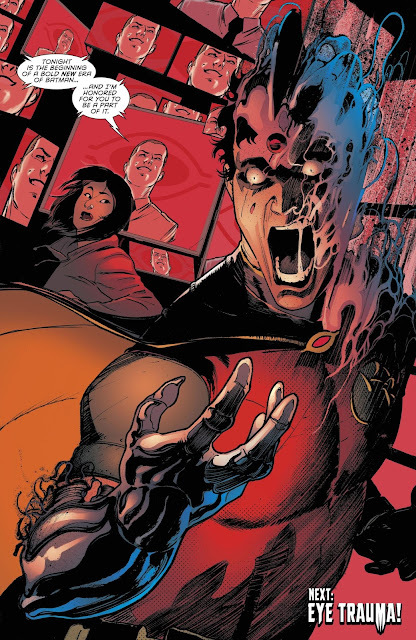 Detective Comics #978 - A Bold New Direction For Batman! 3. Domino #1 - His Name's Pip. I don't care what tier of power you are.... that OUCHED! 1. 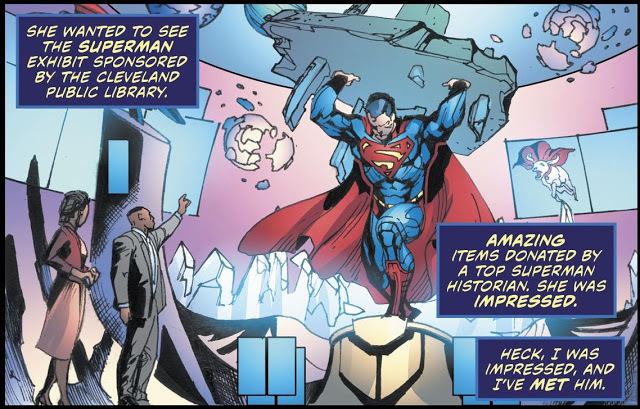 New Super-Man And The Justice League Of China #22 - Save Him? 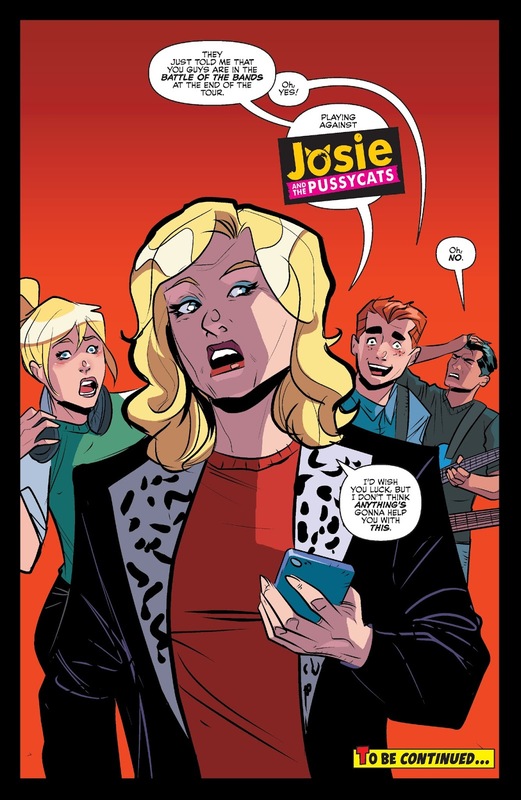 I love this scene, it is so small and has no impact on the book or anything but it is fun. Short story I know someone who caught her foot on a sewer crate and lost her shoe down it, and she still says a Ninja Turtle stole it LOL. 4. Titans #22 - You'll Have To Go Through Me! 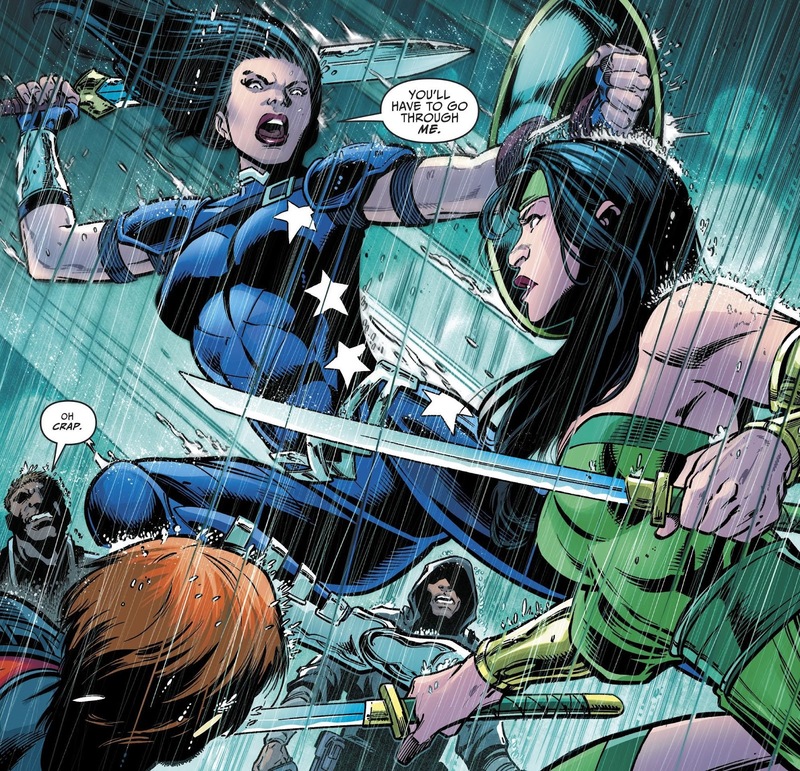 THIS IS DONNA TROY! This is why Donna is the heart of the Titans. She is always there for her friends and willing to put herself on the line to save them. I mean come on she is willing to step between Cheshire and Roy! 3. X-Men Red #3 - Are We There Yet? Gabby is panel gold! I had a few month worth of Gabby panel this week but I chose this one because who hasn't either been that kid on a trip, been that adult dealing with that kid on the trip, or been both! Man I love Gabby and go like and retweet my Tweet to get Gabby & Molly in a comic! 2. 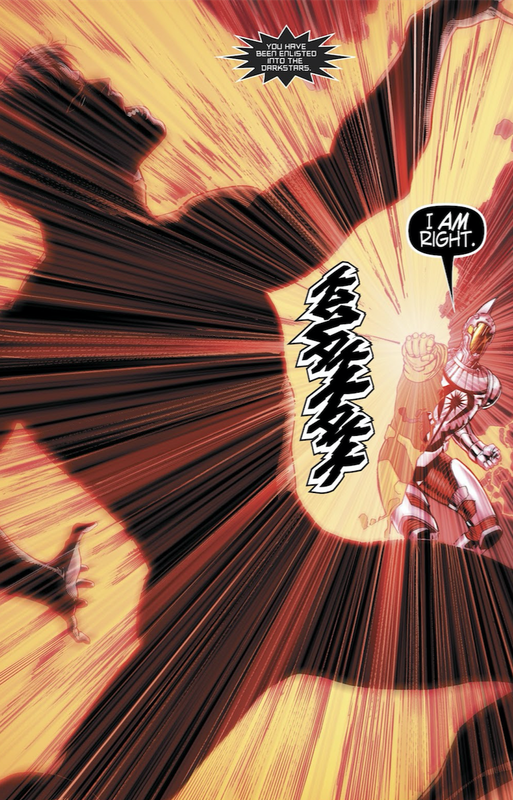 The Flash #44 - The World Needs Barry Allen! This is so meta for me! 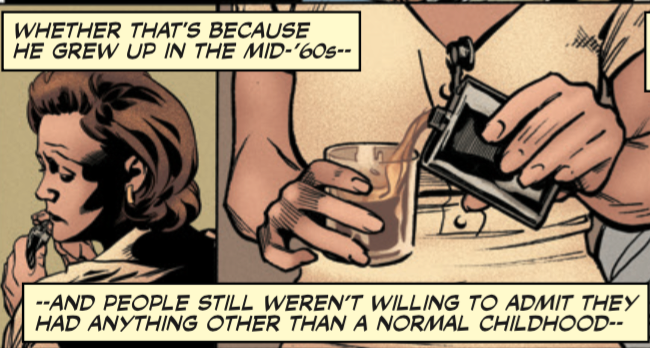 This is what fans were saying for almost 25 years until they finally brought Barry Allen back into the comics. I never got the Barry haters who said it would "ruin the Flash Legacy" or "he had a great death". You can be alive and have a legacy, that is when it is forged, and Jay was alive and kicking and a part of that Legacy, no to mention no death is "great". 1. 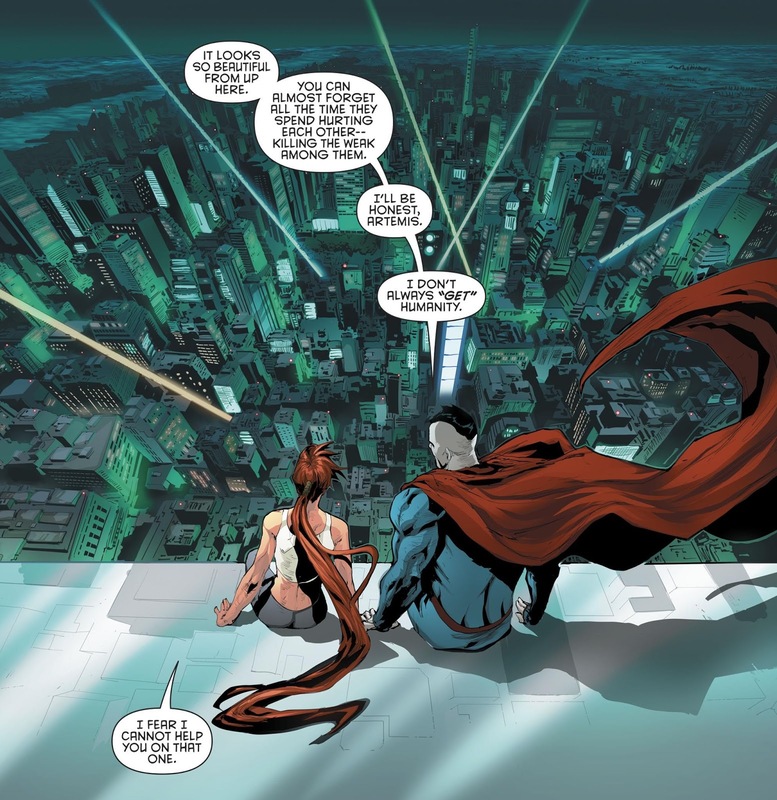 Red Hood And The Outlaws #21 - I Don't Always "Get" Humanity! Be honest, how many of us have ponder this same question? I don't always get humanity either, but I do choose to believe it despite the ugliness it presents at times. The "oh crap" moment that one of your best friends that was convicted for murder has now become a Darkstar. The strongest one he is not!! The Hulk get knocked into orbit with one punch from the Challenger. 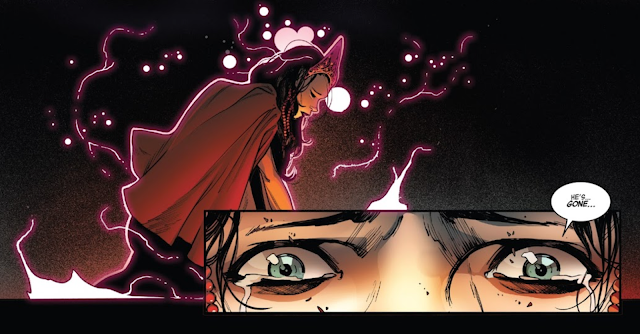 The moment Scarlett Witch realized she lost her Brother was very emotional. 2. Domino #1 - DAZZLER! 1. 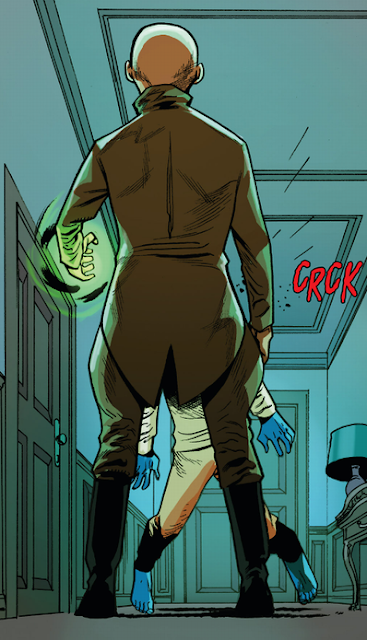 Sideways #3 - Lose An Arm? Warning never rift with someone partially through. You never know what limb can come with you. Domino #1 - Dazzler Out DAZZLES Jubilee / We Wanted Jubilee. Hal Jordan And The Green Lantern Corps #41 - You.... What?! X-Men Red #3 - Are Those Your Intestines? Avengers #688 - Quicksilver's Sacrifice. Sea Of Thieves #2 - You Sound Disappointed. Detective Comics #978 - A Bold New Direction For Batman! Domino #1 - His Name's Pip. 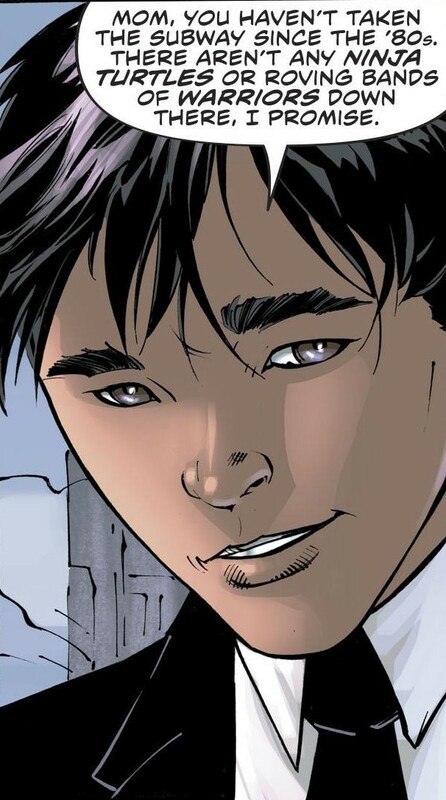 New Super-Man And The Justice League Of China #22 - Save Him? Titans #22 - You'll Have To Go Through Me! X-Men Red #3 - Are We There Yet? 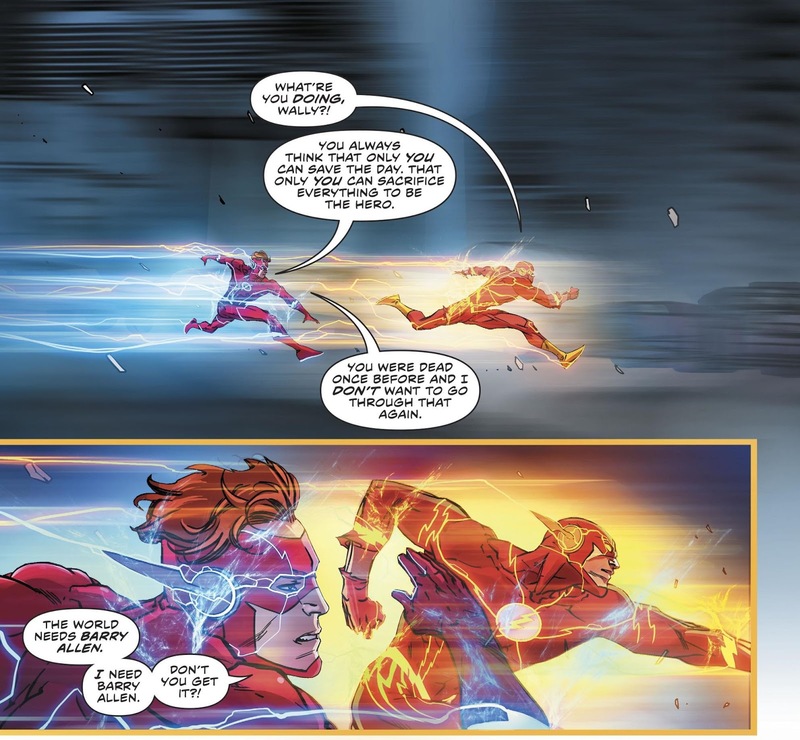 The Flash #44 - The World Needs Barry Allen! Red Hood And The Outlaws #21 - I Don't Always "Get" Humanity! 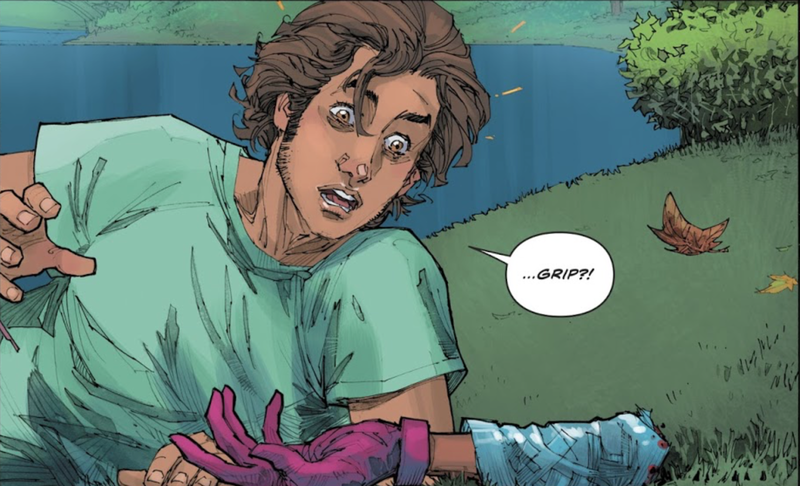 Sideways #3 - Lose An Arm?